Yandex, the leading search engine in Russia has released their own branded version of the Chrome browser. It’s an interesting move to co-opt the browser technology associated with Google, and use it to further the Yandex brand. Isn’t Chrome Licensed To Google? Although Google holds trademarks on “Google Chrome” and “Chromium”, the terms “Chrome” or the Russian Cyrillic “Хром” seem fair game. 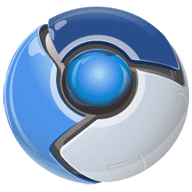 Both version of Chrome are based on the Chromium project. This project has an open source license on their software, which lets anyone make derivative projects as long as these are also freely distributed. In turn the Chromium project took much of it’s intellectual property from the Open Source Mozilla platform, the engine behind Firefox. Key Mozilla employees are working with Google and Chromium while still contributing to Mozilla projects. Why Have Yandex Done This? It’s a smart marketing move. As Chrome builds in popularity in Russia, Yandex can take advantage of that brand. This is not the first time though that they have released branded software, they have teamed up with Firefox and ICQ available. 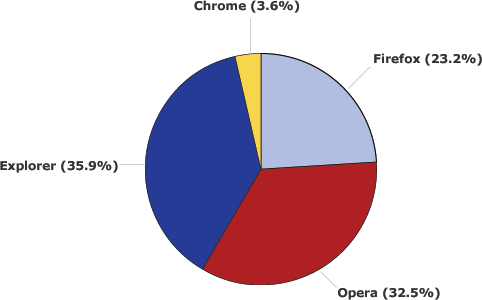 Also they may have diffused some of Google’s strategy if Chrome browser share increases. Both Google Chrome and Yandex Chrome seem to be similarly identified in analytics packages. By supporting the Chrome project they can distance it from the Google brand and share any market success. How Does Chrome Perform in the Russian Market? Compared to the US market, Chrome has achieved a similar or slightly better penetration into the Russian market. Matt Cutts shows Chrome figures in the states vary between 2.84% to 4%. LiveInternet suggests the browser has a 3.6% market share in Russia. 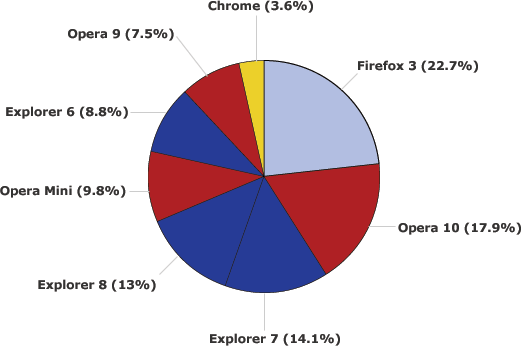 By specific browser version, Firefox 3 is the most commonly used with 22.7% market share. The Russian market is the best performing world-wide for Opera Software, who holds significant market share for their desktop browsers and mobile browser (Opera Mini).